David Tennant, the lovely, gorgeous, British, handsome, hilarious and wonderful Tennant (My favorite Doctor was 10, who knew?) 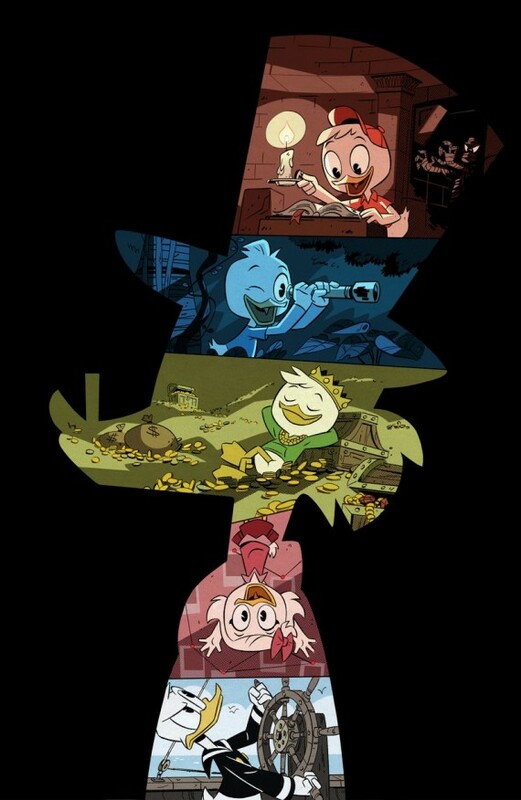 takes on curmudgeonly Scrooge McDuck, then Danny Pudi, Ben Schwartz and Bobby Moynihan are the voices for the troublesome trio Huey, Dewey and Louie. Then they’ve given Launchpad McQuack over to Beck Bennett, and Mrs. Beakley to Toks Olagundoye, with Kate Micucci giving voice to Webby Vanderquack. Oh it will be wonderful! If you needed any convincing whatsoever, check out the new cast while they sing the original ‘DuckTales’ theme song. This makes me so freaking happy! This entry was posted on Friday, December 16th, 2016 at 12:13 pm	and is filed under Comics, Film, News, Television. You can follow any responses to this entry through the RSS 2.0 feed. You can skip to the end and leave a response. Pinging is currently not allowed. « MULTI-MEDIA MEN EP. 65 – ‘Troll 2’ – Soundtracks – ‘WestWorld’ – ‘Stranger Things’ Pre-Cast!